Aytan Gahramanova holds M.A. degrees in International Relations from the Institute of Public Administration and Political Science (Baku), Peace and Development studies from University Jaume I (Castellón, Spain), and Political Economy of the Countries in Transit from Central European University (Budapest, Hungary). Aytan has 10 years’ experience of working for various international development organizations in Azerbaijan such as GIZ, USAID, Oxfam, where she managed multi-million programmes on technical assistance for Azerbaijan in the areas of economic reforms, public administration reforms, assistance to civil society organizations. 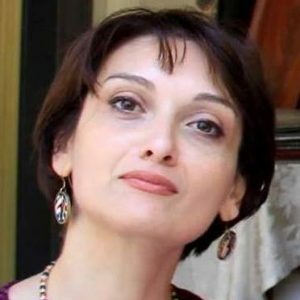 She has several publications published in the academic journals on the topics of democratization and conflict management in Caucasus region. Currently she holds a position of Early Stage Researcher at DCU School of Law and Governance as a Marie Curie Fellow. Her focus of PhD research is civil society actors and political participation in the Caspian Region – the dynamics of democratization and political cooptation in Azerbaijan and Kazakhstan.